Earline W Barnes painting AUTUMN. 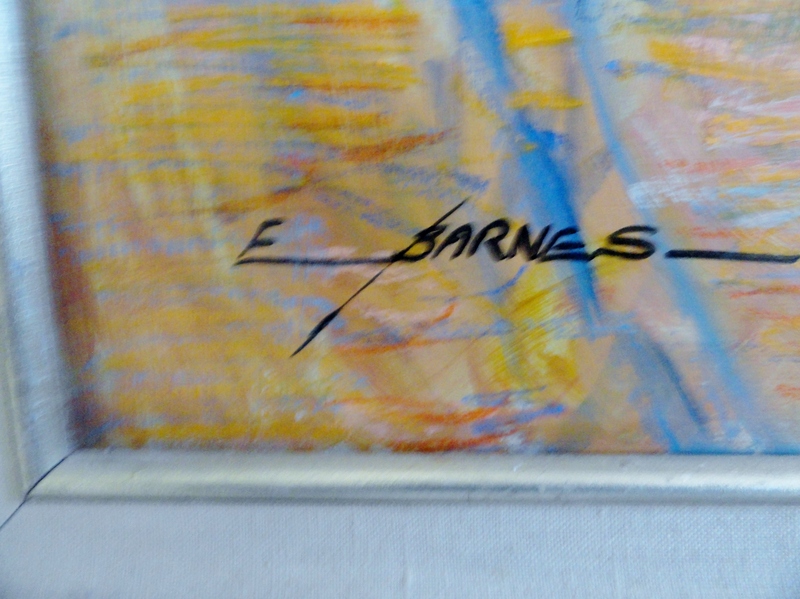 Hall of Fame El Paso, Texas artist Earline W Barnes (1926 – 2005) was not only an important Texas artist, but also a very important teacher, and influence on others that she taught, and was a contemporary of. A brief study into her work reveals great respect for her work as an artist and teacher in Texas, and New Mexico. I think wherever she would have landed in her life that she would have had the same influence, and respect as an artist and as a teacher. Beautiful work. 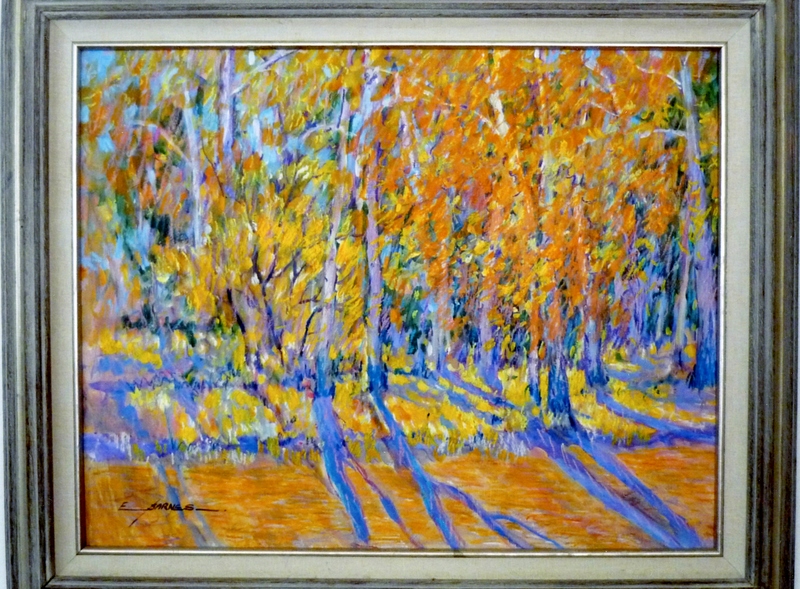 When I first saw this painting, AUTUMN, by Earline W Barnes, I was moved by it’s bold and alive color, and the energy that seems to be moving through the trees. It seems to be alive to me. Not static. Like I feel the artists’ energy and spirit through the brush strokes on the canvas. I was instantly moved by it. It’s always a pleasure to be introduced to an artist’s work that I never knew about before, and be immediately engaged with the work. This is one of those occasions. The work is from a private collection, where it has been appreciated for many years. AUTUMN by Earline W Barnes 22″ x 28″ panel oil and pastel on board. 29″ x 35″ framed.